capacity which covers a large part of the baby’s feeding. They are sold with a special newborn “N.N” teat with 2 holes to avoid regurgitation, but can also receive the second age teats: VARI-TEAT and SUPER-TEAT, all equipped with air regulators limiting colic baby. 2 animal decorations, Cylindrical shape for an easy cleaning. Sold in box. Advices: sterilization in a sterilizer is preferable to boil in a pan or soaking in a disinfectant liquid which leaves a strong smell and to preserve the elasticity of the teat. Cleaning with brushes in rubber, nylon or in silicone is recommended. Tricks: warm the baby bottle filled with mineral water in a baby bottle warmer, and then pour the quantity of milk powder. The powder will dissolve easily with few lumps. 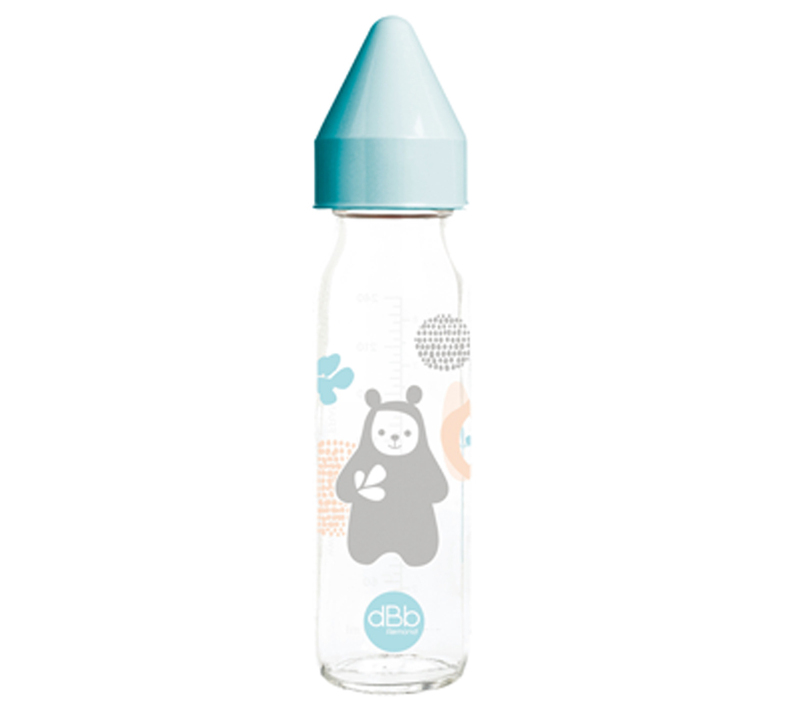 The baby bottle closed, vertically roll the baby bottle in your hands to homogenize the content. Hot or lukewarm milk will be much better digested and facilitate the sleep.